The need for LGBT spaces in ALL Universities: Religious or not! A couple of weeks ago, I finished my Undergraduate Studies in Psychology at the Universidad Iberoamericana in Mexico City. I spent four years studying at the Ibero, which is a Jesuit University. Throughout these four years, I never saw any real efforts at the University to visibilize LGBT population, until one student belonging to the Textile Design Student Association invited me to co-organize the First Sexual Diversity Week. In the past, I had heard that two students had the intention of organizing an LGBT week, however, their intentions lack determination and never translated into actions. What I liked about Alonso Murillo (the Textile Design student that made me the invitation) was his determination. 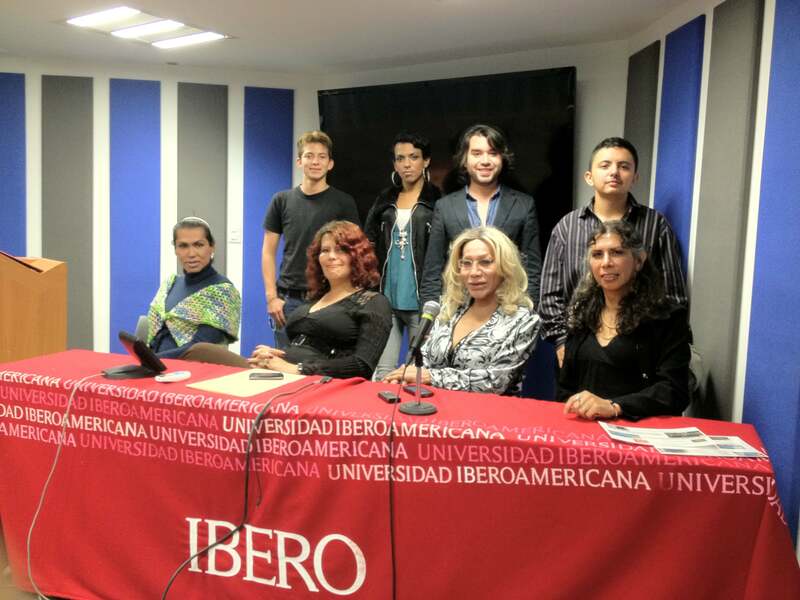 According to Alonso, the Head of the University, Father José Morales Orozco, supported the idea of having a Sexual Diversity Week, and institutional support had been granted. Thus, the agreement that Alonso and I reached was that he was going to be in charge of the cultural program and I would be responsible for the academic program, comprised of different Forums with specialists and LGBT advocates. At the end, the Week had seven Forums about the following topics: Diverse Families; Transgender testimonies; Bisexualities; LGBT youth; Lesbianism; Judaism, Christianism & Homosexuality; Transgenderism and pathologization. Antón Castellanos Usigli with transgender activists who participated at the Sexual Diversity Week at the Ibero.